Willie Samuel Foster, III is the fifth child of fifteen children born to Elder and Mother Willie Samuel Foster, II on New Year's Day in 1961. All fifteen children are saved and active in the service of the Lord. Of the twelve sons, eight are ordained elders and two are pastors. Being his father's namesake, 'Lil Willie' was destined to follow in his father's footsteps as a minister of the Gospel. Willie learned about the Lord as a child through the examples set by his parents and the daily prayers and bible teachings conducted in the home by his father. His Father impressed upon the family the importance of faithfulness in serving the Lord. Willie attended Mt. Olive COGIC from childhood where he was also taught Christian discipleship in Sunday school and Sunshine Band. His father, Elder Foster was suddenly called home to be with the Lord in 1976 leaving Willie's mother, Ceola Foster, to raise the family alone. This did not diminish her dedication to the Lord. She was not defeated. 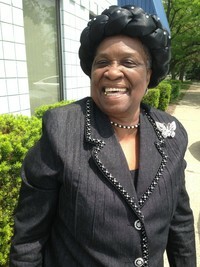 She was a great woman of God and she continued whole-heartedly serve the Lord and faithfully attend church. 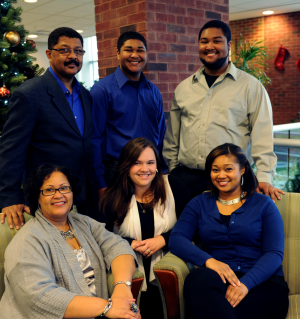 She encouraged her children to follow God's plan for their lives. One day, while yet a teen, his mother posed the question to him; "Willie, why aren't you saved?" Willie honestly didn't have an answer, but the question prompted him to ponder within himself that evening and he decided to accept Christ as his personal Lord and Savior the following day at Tuesday evening service, May 12, 1978. While still a student at Ypsilanti High School, he began to share the Gospel of Jesus Christ with his classmates, teachers and friends. His teachers were astonished at his enthusiasm, ambition and dedication to his faith in God. They admired him for it. In 1979, he graduated from Ypsilanti High School with academic honors and attended Huron Valley trade school to study computer circuitry and advanced electronic technology. He later attended Washtenaw Community College-Liberal Arts and Sciences where he received certification for ISO 9000 and QS 9000 Quality Systems. After many years, he is still employed at Variety Manufacturing Corporation of Dexter as an Internal Quality Systems Auditor where he shares the "Good News" of Christ to many including the company leadership. Elder Foster acknowledged the call by God to the ministry as a Gospel Evangelist in 1981. By 1989, he was ordained as an elder by the late Bishop Willie Leroy Harris. As time progressed so did Elder Foster's ministry. He became active in prison and jail outreach as well as ministering in convalescent homes in various locations throughout Michigan. Teaching the "Growing in Grace" class for new members, evangelizing, preaching and running revivals in various places were also an active part of his ministry. He later served as teacher of the young minister's class for training upcoming ministers. Elder Foster also served in District #11 under the leadership of the late Supt. 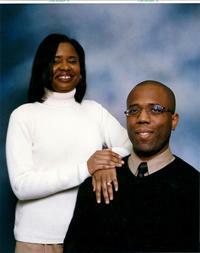 Willie E. Sheard as District Evangelist, Christian Education Department President and as a member of the finance team. Today he serves as District Chairman under the leadership of Superintendent Willie J. Powell, Pastor of Grace Fellowship COGIC of Ypsilanti. Elder Foster discovered 'love' right in his local church, Sister Sherrie Ann (Sheryl) Robinson. They were married on April 16, 1988. 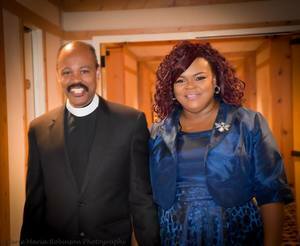 First Lady Sheryl Foster is a great support to him and the ministry. Sheryl is creative and enjoys outreach. 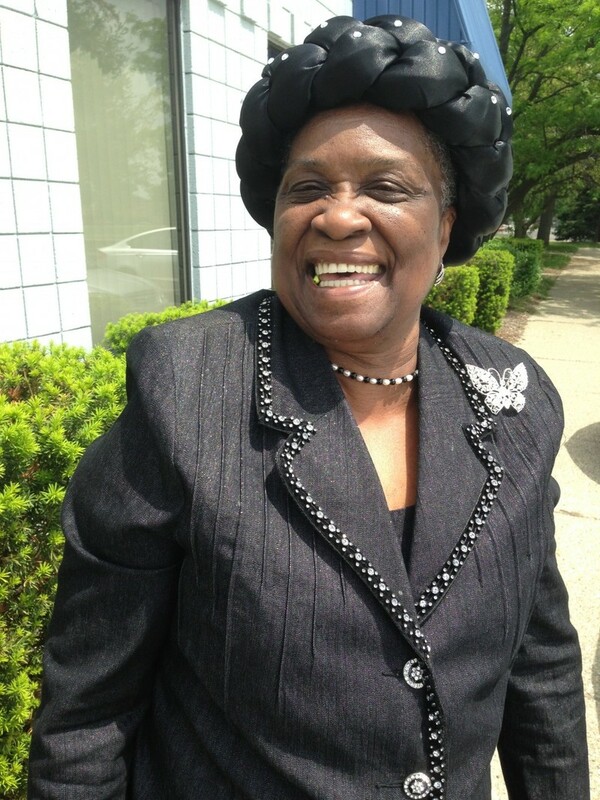 She developed and spearheaded the Ann Arbor Gospel Festival that continued for eight years before its demise when the change in local law prevented amplified music in the park. She loves to engage women in activities that encourage and develop their Christian potential. In 2008, she spearheaded the first ever women's conference at Abundant Harvest, "Everyday Living for the Christian Woman". In 2015, her “Ladies Tea” was a hit with the women of Abundant Harvest Church; a great time of fellowship. In 2016, she instituted Annual Missions Day where long-time missionary, Dolly Milfort, spoke of her challenging ministry in Haiti. In 2018 she continues her ministry with developing an Entrepreneur Ministry and a Marriage Seminar. Sister Sheryl has a master’s degree in Social Work from the University of Michigan and is a business owner in the social work field lending her gifts to help those who are most vulnerable. In addition to the mission projects she spearheads, she serves on the Praise Team. Sister Sheryl is humble and a willing worker for the Lord. The Lord showed great favor and blessed Pastor Willie and First Lady Sheryl with two beautiful daughters, Amber Joy and Charity Grace. Amber and Charity assist the ministry as members of the Compassion Team, Youth Advisory Board and Announcements. Amber also serves on the Finance Team in addition to heading up a young women's group. Amber graduated from the University of Michigan Dearborn in 2016 with a Bachelor’s Degree in Psychology and a minor in Anthropology. She is now pursuing her masters degree. Amber aspires to become a CEO of a non-profit that serves mentally and physically challenged individuals. From childhood she has felt the calling to be a catalyst for change to this population of people. Charity is a junior at Grand Valley State University studying to become a Hospitalist, one who helps patients’ reach full wellness by coordinating with other medical specialist to create an individualized plan. As a Hospitalist, Charity will live out her passion to help others every day, witness and spread the news of Jesus Christ to each patient. She is active in on-campus ministry. With much study and prayer, Pastor Foster is blessed with the gift of rich and accurate teaching of the gospel. He is a true man of God! Consecrated and dedicated from his youth, our Pastor has led his congregation in the face of challenges and changes with an eye that is steady reaching for the high calling in Christ Jesus; steadfast and unmovable. Our small ministry has not deterred his professional growth as a pastor, nor his dedication to sanctification, study and prayer. Our pastor is truly gifted in his teaching, retention and exhortation of the Word of God. He is known to recite entire chapters of the bible in a sermon. He has an amazing memory and is accurately able to quote and explain an abundance of scriptures while sharing the history of the bible in Hebrew and Greek. Pastor Foster truly believes that every one person his ministry can reached has the potential to change the world. Our church history reveals this truth. Members that have moved on to other ministries have become leaders in their own right - ministers, pastors, missionaries, musicians – making a difference wherever they are. This is our Pastor’s greatest legacy –leading people to Christ and encouraging them to become true disciples at home and abroad. With both joy and sorrow in 2004, Elder Foster celebrated the beautiful Christian life and legacy of his mother who went to be with the Lord. Elder Willie S. Foster, III's ministry is a testimony and the fruit of both his mother and father's saved life in Christ. He continues their legacy teaching the Word and leading others to Christ - to the Glory of God! See Church History for more details. 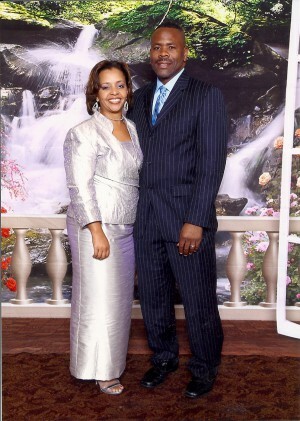 Elder Benjamin Foster and Evangelist Mary Foster serve together in ministry at Abundant Harvest Church. Both are actively involved with Jail Ministry where they share the love and salvation of Jesus Christ to those who are incarcerated. They are also active in ministry to those in convalescent homes. Evangelist Mary Foster actively serves as team leader of the Women of Destiny Ministry at Abundant Harvest Church and is a Sunday School Teacher. She is faithful to the Lord and ministers the Word of God in her calling as a teacher. She has a masters in social work from the University of Michigan and is employed in the area of Human Resources. Mary is also the author of a book entitled Journey to Divine Purpose (ISBN 9781539046110). They are devoted parents of three children, Anna, Benjamin, and Eden. Anna serves on the Usher Board following in the footsteps of her grandmother who leads the Usher Board, Mother Jones. The Church Mother is a teacher of the Word of God according to II Timothy 3:16-17. She is compassionate and empathetic toward the concerns and issues of women of the church. She is an example of living holy. Mother Earnestine Jones (also known as Mama Jones) was born during the World War II era in the small town of Crenshaw, Mississippi. The town of Crenshaw is so small that it is generally not noted on the state map. During the era of her birth, the town’s population was 623. She was the fourth child of thirteen and of which only five remain alive today. She learned the importance of hardwork and developed a strong work ethic through the unfair and tiring labor of the sharecropping system. She spent some of her early childhood years with her grandmother who encouraged Godliness. Wanting a better life, as opportunities were greatly limited in the south during her young adult life, she married a minister moving to Northern California in 1969. From this union, two daughters were born; Earnestine Jones (named after her mother) and Mary Elizabeth (Jones) Foster. She has a wealth of life experience and can relate to the many roles a woman plays inside and outside the home. She can relate to a woman as a homemaker as she spent time as a homemaker during the early years of her daughters. She can relate to a woman who works outside the home as he worked in the field of education for more than 27 years until her retirement. She started working for the Oakland Unified School District as an Instructional Assistant and later due to the change in requirements, she returned to junior college to receive a Certificate in Early Childhood Development and Education. This certificate also permitted her to serve as a Substitute Teacher for more advanced grades within the public school system. Her career in the field of education included working with advanced learners, slow learners, autistic children and those who were a part of the Special Education Program. She gained a great deal of patience as a result of her work with children. She can relate to married women as she was married for more than thirteen years before her husband’s death. She can relate to being a single-parent and widow – learning the need to make wise and careful decisions and becoming victorious over the result of making unwise life choices. She can relate to the needs of a minister’s wife as she assisted her husband in handling the affairs of the local church during the absence of church leadership. She can relate to the need of balancing home and work as she became responsible for the training and development of her children. Most importantly, she can relate and understands the need to live a Godly life by which the Holy Spirit directs you daily. She is blessed to be among the Saints of God where she can grow in her personal relationship with Christ and be changed by the power of the Holy Spirit. In this Old Testament promise, spoken by the prophet Isaiah, the Lord clearly states His commitment to guide and protect mothers and to care for their children. Surely the Lord loves our children even more than we do. What a wonderful encouragement for Mother's Day and always. Hannah was a woman of faith. In fact, her Hebrew name translates as "grace" or "favor." After waiting many years in earnest prayer, the Lord finally blessed her with a son, Samuel. Hannah responded by dedicating her long-anticipated child back to God. What an important example for any faith-filled mother, particularly at Mother's Day. Mothers Are Still God's Children. "You made all the delicate, inner parts of my body and knit me together in my mother's womb. Thank you for making me so wonderfully complex! Your workmanship is marvelous - how well I know it. You watched me as I was being formed in utter seclusion, as I was woven together in the dark of the womb. You saw me before I was born. Mothers exert constant and considerable energy to meet the needs of their families. Parenting is full-time work, and mothers know this full well. How many mothers might be blessed by the reminder that God still sees them and adores them as His own children? The Psalmist, King David, expressed this truth so clearly in Psalm 139. What mother would not take comfort in some tender parenting of her own, such as only our loving Heavenly Father can provide, on Mother's Day and any day? "If you follow my teachings and keep them in mind, you will live. Be wise and learn good sense; remember my teachings and do what I say. If you love Wisdom and don't reject her, she will watch over you. The best thing about Wisdom is Wisdom herself; good sense is more important than anything else. Mothers love receiving flowers on Mother's Day. Corsages, wreaths, crowns and bouquets are the order of the day. After all, a loving mother is a blooming beauty herself. This oft-quoted passage of the Old Testament book of Proverbs points out the value of wisdom as a root of life and honor. How many mothers might be encouraged by such words, particularly if they may be counted among the wise? Mother's Day offers an ideal opportunity to express our appreciation for wise mothers. At times, most mothers may feel overwhelmed by the responsibilities of parenting. Penned by the wise King Solomon, Psalm 127 reminds parents that children are a gift and a blessing from God. How He loves our children, and how He must value us, if He entrusts these little ones to our care. Mother's Day is a superb occasion for pondering these truths. "I look up to the hills. Where does my help come from? My help comes from the Lord. He is the Maker of heaven and earth. He won't let your foot slip. He who watches over you won't get tired. In fact, he who watches over Israel won't get tired or go to sleep. Every mother experiences sleepless nights. In times of sickness, concern or simply high activity, a mother often forgoes rest for the sake of her children. What a comfort it can be to know that God never sleeps. He never goes off duty. Instead, he constantly guards and cares for those He loves. On Mother's Day, why not remind our mothers that God is on the job, so that she may enjoy a much-deserved moment of rest and peace. These two Scriptures, spoken on very different occasions, echo the same truth. God delights in astonishing us by making impossible events come to pass. The first passage comes from the Gospel of Luke. The Angel Gabriel affirms the unlimited power, or omnipotence, of God to the Virgin Mary, who has just learned that the Holy Spirit will cause her to conceive the Christ child. The second statement comes from Christ Himself. A rich young man has asked Jesus how he might obtain eternal life. The Lord has explained how salvation is only possible through the power of God. Faithful mothers know firsthand the power of prayer. Having wrestled in prayer over concerns for their children, many mothers understand the availability and accessibility of our loving Heavenly Father. Why not offer these Scriptural affirmations on Mother's Day? Cheerfulness is contagious, and it can actually improve our physical and emotional health. On the other hand, bitterness and anger can have the opposite effect. Henry Ward Beecher, a 19th Century American clergyman, said it this way, "The mother's heart is the child's schoolroom." Truly, a parent's attitude may set the tone of the entire family. What mother does not desire to infect her children with cheerfulness? By reminding mothers of this truth on Mother's Day, we might actually boost whole families. "And my God will supply all your needs according to His riches in glory in Christ Jesus." (Philippians 4:19, NASB). By definition, mothers are need-meeters. From dawn to dawn, mothers strive to feed, clothe, shelter, train and teach their children. Often, our primary focus is caring for our children. How might mothers be encouraged, particularly on Mother's Day, to know that God is the ultimate Source of all we may ever need? He is Jehovah-Jireh, the Provider. Even in a difficult economy, a job loss, a family crisis or other time of need, God has promised to care for His children. The Apostle Peter reminds us that God adores us passionately, and that He invites us to place our worries and concerns at His feet. God calls us to pray, to leave our needs with Him. Of course, this does not absolve us of daily responsibility, but it surely frees us from fretting. "But seek first his kingdom and his righteousness, and all these things will be given to you as well. Therefore do not worry about tomorrow, for tomorrow will worry about itself. Each day has enough trouble of its own." (Matthew 6:33-34, NIV). Mother's Day offers a wonderful chance to affirm mothers and encourage them to trust God continually for the outcome for their children's lives. Several additional Scriptures pertain particularly to parenting and the family. These merit mentioning here. Without a doubt, the most often-quoted family Bible verse comes from the Decalogue, or the Ten Commandments. The Fifth Commandment applies directly to children. Jesus cited this verse in Matthew 15:4 and 19:19, Mark 10:19, Luke and 18:20. The Apostle Paul also quoted it in Ephesians 6:2. The classic biblical example of motherhood is described in the thirty-first chapter of the Old Testament book of Proverbs. This account portrays an ideal that may seem impossible to reach. Actually, biblical scholars have speculated that this description applies more to a combination of many virtuous women, rather than one single paragon of feminine honor. A mother who bears even a handful of the traits described here is worthy of admiration indeed. AMP = The Amplified Bible (Copyright © 1954, 1958, 1962, 1964, 1965, 1987 by The Lockman Foundation). CEV = Contemporary English Version (Copyright © 1995 by American Bible Society). MSG = The Message (Copyright © 1993, 1994, 1995, 1996, 2000, 2001, 2002 by Eugene H. Peterson). NASB = New American Standard Version (Copyright © 1960, 1962, 1963, 1968, 1971, 1972, 1973, 1975, 1977, 1995 by The Lockman Foundation). NIRV = New International Readers Version (Copyright © 1996, 1998 by International Bible Society). NIV = New International Version (Copyright © 1973, 1978, 1984 by International Bible Society). NLV = New Life Version (Copyright © 1969 by Christian Literature International). NLT = New Living Translation (Copyright © 1996, 2004 by Tyndale Charitable Trust. Used by permission of Tyndale House Publishers. ).